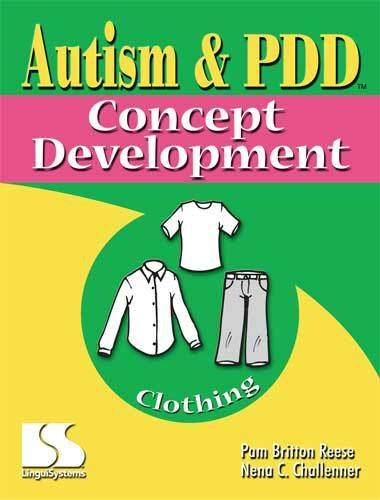 Grade Lvl: T Author: Reese, Pam Britton Challenner, Nena C.
Children with ASD and developmental disabilities can visualize the essential features and attributes of clothing concepts with these illustrated, step-by-step lessons. Each concept is illustrated in both a large-page and mini-page format for making books to read to the child. A variety of comprehension questions follow each concept. Each concept has a generalization exercise. For ages 3-8.